Ruth Becker passed away on Jan 8, 2019 after a lengthy battle with kidney disease. Ruth was born in Humboldt, SK, Canada on August 24, 1941 to Walter and Agatha (Kate) Becker. She lived on a small farm in Middle Lake, SK and Kelowna, BC until moving to Paradise, CA in 1944. Despite being afflicted with cerebral palsy, Ruth was known for her outgoing, friendly attitude and her big smile. 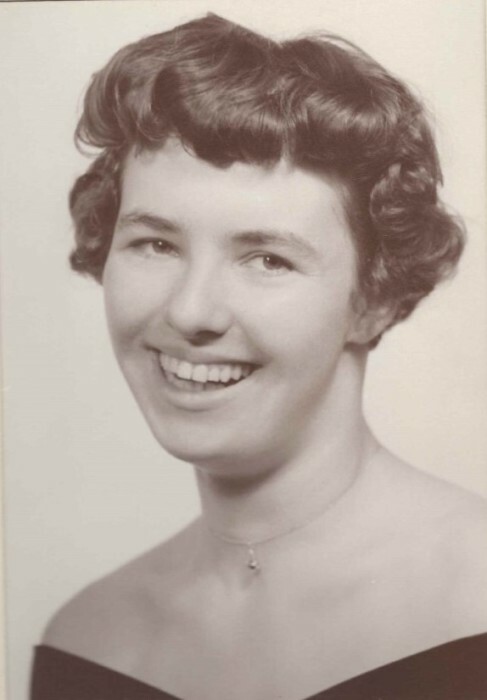 Ruth attended schools in Chico and Redwood City for disabled children. Later she attended Paradise High School and took classes at Butte College. She worked at the Butte County Superintendent of Schools office in Oroville for several years in the 1970s, for many years the Work Training Center, and later the Joe McGie Center. Ruth enjoyed creating many arts and crafts projects including needlepoint, sewing, painting, and pottery objects. Ruth is preceded in death by an older brother, Donald Charles Becker. She is survived by older brother, Morris Becker who resides in Canada, nieces LaDonna Foley of Cheyenne, Wyoming and Charlene Levering of Davis, California and many loving friends and relatives. The family wishes to thank the owners and staff of Giselle’s Care Home, Joe McGie Center, and Far Northern Regional Center for their excellent care in recent years. Contributions can be made to the Far Northern Regional Center, Joe McGie Work Training Center or a charity of your choice.